What if something different from what Watson reported happened during the Great Hiatus? My thanks go out to the author for my copy of this book. Moriarty is gone. Holmes is not himself. He has been for some time in an asylum, his memory in shambles. To the outside world, Holmes died at Reichenbach Falls. Doctor Reggie Collinsworth is the man in charge of this institution. Contrary to many asylums of the day, the Wellington Institute is clean and bright. The patients well treated. Collinsworth wants to restore Holmes’ memory so that he can return to his life. Another patient, Anthony Colton, recognizes Holmes. It becomes obvious that the two have clashed before. Colton is a nephew to the Queen. The Royal Family’s bequest allows Wellington Institute to care for their charges so well. During his recovery, Holmes encounters a young nurse, Fiona Wilcox. Miss Wilcox flirts with Holmes. He finds himself somewhat attracted to her, to his surprise. The story isn’t all that bad. 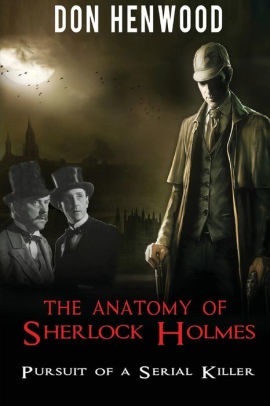 It explores circumstances others have used to explain the nature of the Holmes/Moriarty feud. The Seven Percent Solution by Nicholas Myer does so, for example. It isn’t clear who Colton is. They have met before and he is in the institute as a result. Unless Don Henwood writes the details of that encounter, we may never know anything past the notes here. That’s a hint, Mr. Henwood! The book is a trifle hard to read. In the first few pages, there is a disconnect in person. The passages start in the third person. In a bizarre manner, it jumps to first person recounting and back again. Then there is the matter of Holmes’ name. I appreciate that Mr. Henwood is trying to avoid repeated lines. But Holmes should always be Holmes, not Sherlock. Indeed Holmes tells people this in the story, yet Holmes and Sherlock jump back and forth, even on the same page.